These innovative cookbooks are devoted to celebrating wonderful food and a contemporary sense of style on a budget. 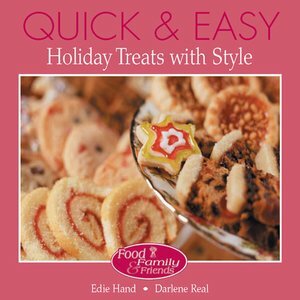 Provided are recipes for delicious and easy holiday treats, entrees, and salads and breads that take fewer than 20 minutes to prepare and present with flair. Appropriate for both novice and experienced cooks, all of these recipes use ingredients commonly found on supermarket shelves. Each recipe is accompanied by nutritional information and diabetic food exchanges. The fun presentation ideas suggested use basic supplies found in supermarkets and mass merchandise stores, enabling cooks to create meal presentations worthy of Martha Stewart on a family budget. Debra Lustrea is a commercial interior designer and chef. She lives in Chicago.